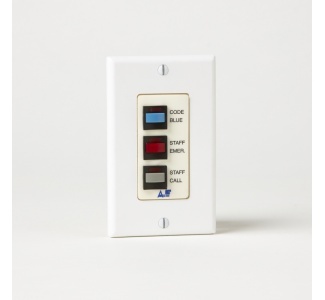 Emergency 3 push button station - Normal Call, Emergency, and Code Blue. 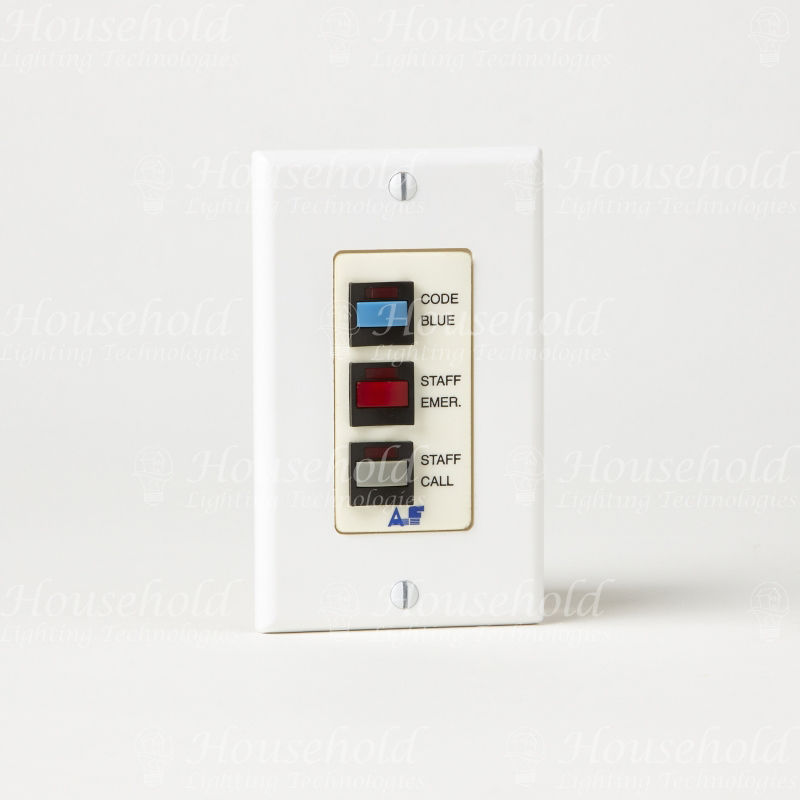 When the call push button on the staff station is pressed, the following indicators light: The red “Call Placed” LED on the station, the red “Call In” LED’s on the duty stations, the dome and zone lamps, and the room and “Call Placed” LEDs on the annunciator. At the same time, audible toned are outputted at the annunciator and duty stations.